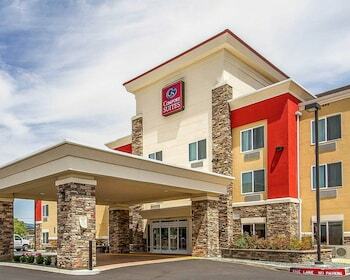 A stay at Comfort Suites Redding - Shasta Lake places you in the heart of Redding, a 3-minute drive from Waterworks Park and 6 minutes from Turtle Bay Exploration Park. Featured amenities include complimentary wired Internet access, a business center, and complimentary newspapers in the lobby. Planning an event in Redding? This hotel has facilities measuring 300 square feet (27 square meters), including a meeting room. Self parking (subject to charges) is available onsite.